How Much Room To Fulltime? Many times during MsTioga’s fulltiming years, we would wonder if our living space would be better if smaller. MsTioga was 20 feet from the back of the driver seat to the inside rear wall. Scampy is just under 10 feet from the wall of the toilet/shower room to the inside rear wall. So Scampy’s living space is 1/2 of MsTioga’s living space. Amazing! Because Scampy is sooooo comfortable! 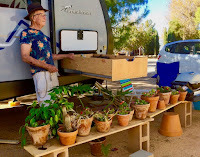 Yesterday, we made an appointment with Brett, the owner of RV Trailer Supply, to plumb in the 3/8 copper tube going from Scampy's water heater, to the fridge. When that tubing run is in, Scampy will have hot water for a shower! Also, Scampy's stove will then operate, and we will be able to cook food!! My friend John and I are golfing the the Tecolote Canyon Course. John has labeled Tecolote the golf course that everybody loves to hate! A golfer who makes par on every hole on the Tecolote course, will have a score of 56. I wound up with 174! 118 OVER PAR. Oh my God! 2pm - Repair people love Baby Boid! When John and I returned to RV Trailer to get Scampy, the repair people were fawning over Baby Boid. And Baby Boid entertained by tweeting his best tweets! Baby Boid was really hamming it up! 11pm - Scampy sooooo organized! Every nite since arriving in San Diego, Scampy has been more organized than the nite before. Now at my bedtime, I'm looking around at how things are. I'm so delighted! The big propane tank that was so out of place [but necessary for warming] is now in the back of Little Honda. Our propane now comes from a gas hose underneath the kitchen sink. There is a quick disconnect valve on the end of the hose. The heater may now be stored with no hose attached. The pic below shows the propane plumbing job that I had sooooo much trouble trying to do. That plumbing job was completed RV Trailer Supply in El Cajon. for 14-hours. And the Jr reports a red color indicator. This red indicator means "Not Completely Charged Yet!" We on the TiogaRV Team are concerned about the condition of our Interstate battery. We have been using deep cycle batteries since we began RVing in 2003. Our years of experience tells us that this Interstate battery may be defective. To make sure what the condition actually is, we are taking this battery back to the Interstate store where it was purchased in order to find out what's what. 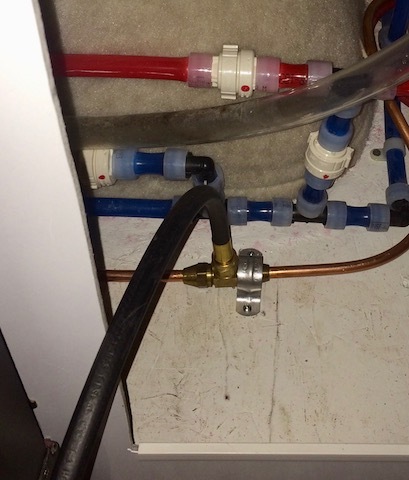 Do you remember reading in our Blog about the challenge we had installing a quick disconnect fitting into Scampy's propane line? First one thing stalled us. Then another thing. Then another. Ad Infinitum! The thing that stalled this project completely, was finding out that Scampy's copper propane tubing had a non-standard outside diameter! Isn't that a kick-in-the-head? 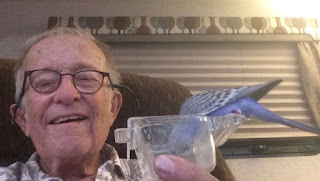 In the City of El Cajon, not far from our Nite Camp at John and Mimi's home, is Rick's RV Center. A repair outfit for RVs. We intend to ask Rick's to take a crack at our stalled out propane line project! When we arrived at Interstate and informed them about the battery, at first the guy I was dealing with claimed that the battery was fully charged when we received it last Friday. But after he checked the voltage and specific gravity, he stopped making statements like these because they were obviously untrue. Then, he reversed course and went about installing a brand new battery. Some of the cells on this replacement battery registered 1300 specific gravity [SG]. It does not get better than that. The remaining cells of the replacement were only partially filled with battery fluid! So the SG could not be checked on those cells. This guy did not even know how to fill the battery cells properly. Amazing! Anyway, after driving around for awhile we parked and checked the specific gravity. 1300 on every cell! Perfect! 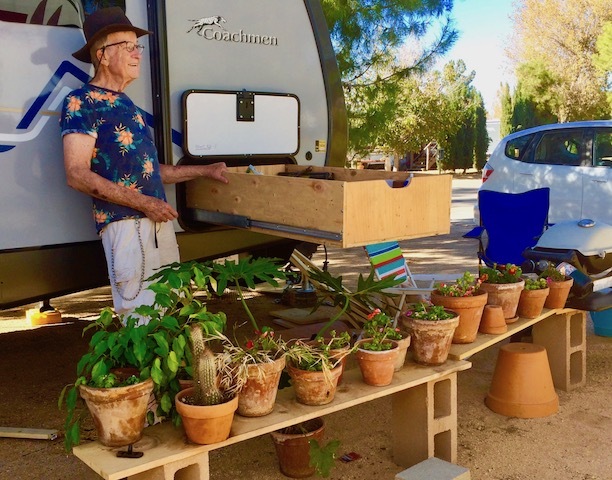 We phoned Rick’s RV at 8am asking for an appointment to replace the copper tubing propane line that we Blogged to you about earlier. The guy we need to speak with was busy. We left a message. We waited until 11am. The guy doing appointment scheduling at Rick's was apparently so busy, that he still had not phoned us. We found another shop that did that work, named RV Trailer Supply. We were told to drive over to check the job out. We now have an appointment for 8:30am tomorrow at RV Trailer Supply. In addition to doing the propane line work, the Honda will be fitted out to charge Scampy’s battery when towing. THAT will be a very good thig! When we bought Scampy’s new battery from an Interstate Battery Center a few days ago, they informed us that the battery was fully charged. However, yesterday we took specific gravity readings. All of the cells read around 1225. This reading indicates only a fair condition for this brand new battery! This morning, first thing, we are going to a nearby Home Depot and buy a Battery Tender Jr. 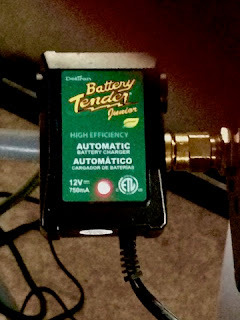 This device should bring this Interstate Battery up to a specific gravity of 1300. Excellent condition! Click [link] to see about Battery Tender Jr.
We are at a salad bar restaurant named Souplantation. The chowder soup was good. Now I'm eating the salad. Some stuff to allow the hanging of clothing in the shower. We believe that Little Honda's engine starting battery and Scampy's marine RV battery may be brought into top condition by the use of Battery Tender Jr.
Little Honda's battery has been abused by over using an inverter which caused the battery's charge to go low enough so that the starter would not turn over. This happened to Honda three times! Scampy's battery was not fully charged when we got it. And, if the specific gravity does not go up near 1275 after charging with BatteryTender Jr, that battery shall be returned to Interstate. We wanted to be able to put clothing on hangers. 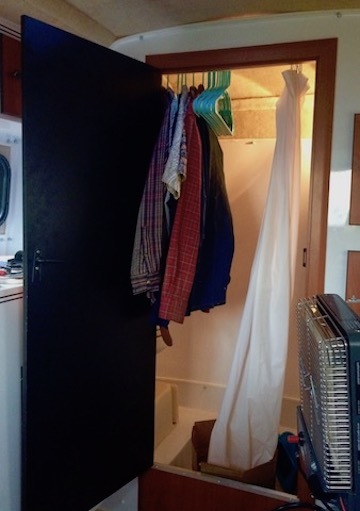 When MsTioga was around, clothing was hung in her shower. So, we wanted to the same thing in Scampy. Initially, we planned on mounting a hanger bar from the wall of the shower. That solution was not appealing. We came up with two different methods to attach the hanger bar to the shower wall. We could not go for either one! Then, this afternoon while thinking the problem over, an answer dawned! Here it is shown in the pic below. Clothing hanging from the existing shower curtain rod! How to tell time? Our clock has been sitting on Scampy's dining table bench seat. That's a pain. This afternoon, a place appeared that delighted the TiogaRV Team! Easy to answer: "What time is it?" When Are We Going Back Home? 12 Midnite - Some Readers have asked, "How long are staying here? When are you going home?" The answer: "We are fulltiming RVers. Everywhere we are, is our home. And.....we may be out here for a long time!" When MsTioga and I made our very first Nite Camp on February 25, 2003, it dawned on both of us that our home was everywhere! That's why we felt comfortable everywhere we went. That has not changed. 10:30am - We are Busy Bees! Now that things have settled down with Scampy, we have time to do ordinary stuff. Like cleaning Scampy's linoleum floor. The floor is sooooo small. A dust pan and whisk brush are used for sweeping. And a dish brush and a bowl of soapy water for mopping. After mopping, paper towels are used to take up the mop water. From where we shopped at Target, to Mission Beach is only a 10-minute drive. So, that's where we are Day Camped! I was online at RV.NET publishing a New Topic. Just as I was finishing that story, the weather turned dark. A drizzle began. Boid and I moved into Little Honda and drove off for the fresh water station at South Shores Park. When MsTioga and I made camps around here, the dump stations all had fresh water for filling up RV tanks. Somehow, the dump stations remain. But the fresh water went bye-bye. During 2003, my first year as an RVer, Reader and now close friend Pete Olson turned me on to the Self Realization Fellowship in the City of Encinitas. MsTioga and I went to visit this gorgeous place. We were able to Nite Camp on the street right next to SRF. The same during our 2004 trip. We made a Nite Camp in the same place for both of these years. Right next to SRF. No Parking 10pm to 4am. 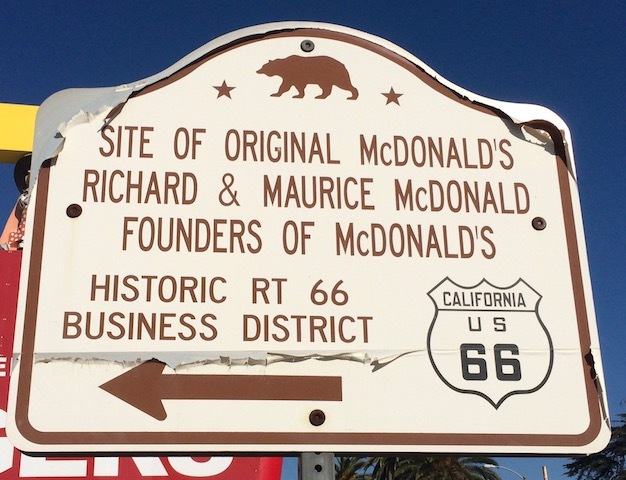 Why did those signs go up? The street had few houses. There was no parking problem in the entire City of Encinitas. Yet, there those signs were. Note: I shall refrain from giving a reason for those signs. You may be able to figure that out for yourself. 7:30am - Last June, it became clear to me that my golfing days were over. I had difficulty controlling my right hand and arm. I had little stamina. Hard for me to complete an 18 hole round. However, those days are behind me. At 9am this morning, John and I will join two others to play the course at Sycuan. Yesterday, Scampy and The Team made a Nite Camp at John and Mimi's home. We are using our Wave3 Catalytic Heater to keep warm in Scampy. At about 2am, Wave3 went cold! Looking at the propane gage, it read empty! That propane tank was filled just yesterday. What's going on? Examining the fitting to the tank found that the connector had somehow loosened enough for propane to stop flowing. That fitting was tight last nite! How could it loosen? After tightening that connector again, Wave3 lit up. That was when it was noticed that the tank gage read "half full"?? Propane stopped flowing: During the nite, it got cold in the shower room where the propane tank is located. The resulting temperature reduction caused the brass fittings to become slightly smaller. Allowing the weight of the hose to rotate the fitting enough to stop the propane flow to Wave3. 1/2 filled tank: Yesterday when the tank was filled, the guy doing the filling announced, "I saw propane spit out of the valve. The tank is full now." And he turned off the propane pump. But I did not see propane spit out. So, the tank was NOT filled. This is the first time that I ever kept my score in a round of golf ! Three of us played the Pine Glen Course at Sycuan Resort. John, Jere and myself. 54 is par on Pine Glen. My score is 88 over par. 142 for the round. This is a terribly high score! But it’s my score. Do you recall that we figured out the reason for the fault being registered by our new inverter? It’s insufficient electric power coming from Scampy’s deep cycle battery. We checked the specific gravity [SG] of the cells with a hydrometer. The result is a 1175 to 1200 SG reading. After charging for several hours, a good battery should read 1275 to 1300. This battery is a bad one! MacBook Computer is charging as I type. So far, NO inverter faults! We have made our Nite Camp on a Dead End road very close to the Guava Gardens Apartments where I used to live. 7:30am - Baby Boid and George and Little Honda and everybody agree about Fulltiming. It is wonderful!! Our Nite Camp went sooooo well. Everything worked. Nothing was missing. Our many Scampy Shake-Down Camps in order to find out what didn’t work or was missing did the trick! 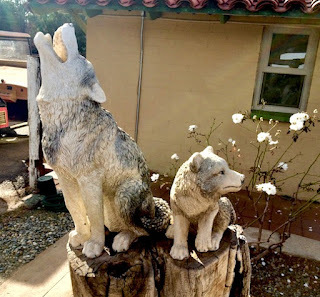 We made this Blog post when we found a 2-star Cricket service location We are still on the mountain looking down on the City of San Bernardino. 8am - We arrived in San Bernardino and filled Little Honda’s gas tank. We planned on going to Denny’s for breakfast. But, just across the street from the gas station we spotted “George’s Burgers [Breakfast Lunch Dinner]. So we went to George’s. 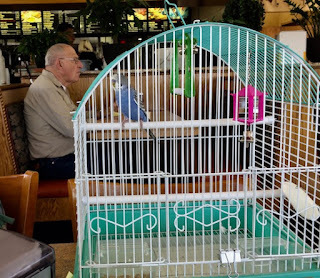 We brought Baby Boid to breakfast. The lady at the counter at George’s, told us that bringing Boid would be OK! Boid liked being at George’s Burgers. He tweeted a lot, and looked around at all the customers. We are invited to share Thanksgiving this afternoon with friends, John and Mimi. We are heading there now. Delicious turkey, stuffing, string beans, sweet potato! And dressing! I've celebrated Thanksgiving with John and Mimi almost every year since I began fulltiming in 2003. I feel very fortunate to be here with them celebrating Thanksgiving this year. Note: I had planned to take pics of us at the table. But I forgot to take pics! Darn! Have you noticed, at times I rant about stuff being missing? And I blame missing stuff on playful ghosts or bad angels? I even sometimes blame God? I am seriously doubting the validity of this blaming. Now I've come to believe that it is actually Me Myself who is responsible. The reason for things going missing is I’m not paying attention. “Paying Attention” does not accurately describe what goes on. Maybe, it’s part of the aging process? As I’ve aged, I believe that I'v became mentally sloppy. Not paying enough attention to recall what I am doing. To recall what I’ve done. I have something in my hand. I put it down without concentrating enough. And that something is gone! Not actually gone. But I have no idea where it is. Because where it is not in my memory. I believe that I can stop this mental sloppiness, and become mentally disciplined again. As I was when I was younger. This likely will not be an easy thing for me to do. But if I have the right attitude, I believe that I am able to do it! The reward will be a lot of frustration removed from my life. 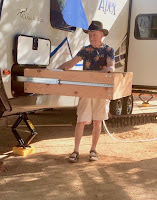 8am - In yesterday's Blog, I described the challenge that was encountered because of a copper tubing specification difference between copper tubing sold at Home Depot and copper tubing used in my Scamp Trailer. I phoned plumbing supply companies all over the United States asking for info. Nobody knows anything about this spec difference! So, I phoned Scamp Trailers asking for help. A 3/8 brass compression fitting is being sent out to me. If I am lucky, the receipt of this fitting should resolve the issue. But, if the fitting from Scamp does not do the job, I'll have to figure out some other way to do this. I'm in the process of renewing my passport. A photo has to be submitted. I went to Walgreen's where they sell passport photos with the correct dimensions. Below is what I have come to look like. I don't even recognize this face! 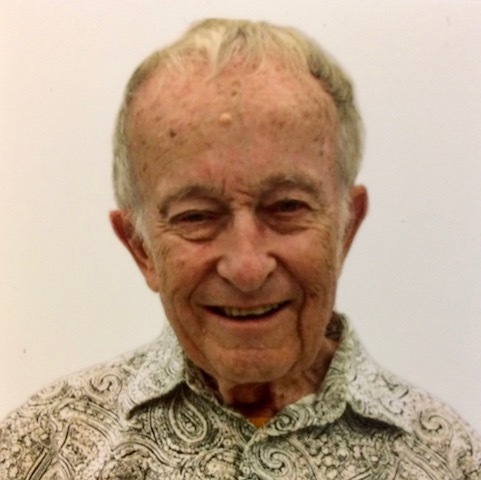 Who is this old guy? Me? Tioga George and Baby Boid left Lone Wolf RV Park with Scampy in tow behind Little Honda. We headed into the mountains. Our destination, somewhere near Crestline, CA. And……we are there NOW! While we were heading toward a lake near here to make our Nite Camp, Cricket Cell Service became NO SERVICE! We had no directions. We came upon a church with an empty parking lot. Went to the church door where phone numbers were posted. First thing after setting up Nite Camp, we cranked up our Wave3 Catalytic Heater. The heater is set at low. And it’s comfortable inside Scampy. Baby Boid is a real fun guy to drive with. He loves to drive, and is interested in EVERYTHING! Every second, Boid’s eyes are looking here and there, and all over. Much of the time, Boid perches himself very close to me. Maybe Boid feels secure when he is close to me? What kind of RV should we buy? With a MsTioga type RV, everywhere you go, a comfortable bed and a nice bathroom go with you. But, MsTioga got 7.5 miles per gallon. At today's gas price, that means $0.40 cents for each mile traveled! Go 100 miles and gone is $40 bucks for gasoline alone! Twayler is a very nice RV also. More comfortable than MsTioga. Camping with Twayler would mean buying a tow vehicle. Probably a truck. Twayler with a 28 foot length and a Ford F-150 @ 20 feet long would mean a combined length of 48 feet. Wow!? We would likely never drive on a dirt forest road with this rig combo! How about Scampy? We could tow Scampy with Honda FIT. 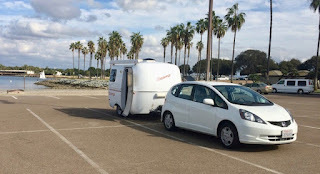 Scampy @ 13.5 feet long and Honda FIT also at a 13.5 foot length = total driving length of 27 feet. 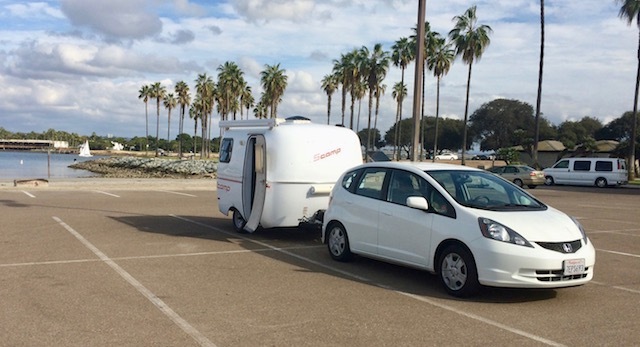 Honda gets 21mpg when towing Scampy. Driving 100 miles costs only about $14 bucks. Scampy has a nice bathroom with a shower! Driving on a dirt forest road would be easy. Have to be careful about loose gravel/sand. Don't want to get stuck! So, we chose Twayler as our Home Base and Scampy as our Camping RV! Whatta you think about that? EITHER, things go so well, that I am blown away! OR, things all go bad. First one thing bad. Then another. I keep trying. Find a way to do something that would not work. Then run into another obstacle. This afternoon, I was positive that there was sooooo little to do, that I had to finish in about an hour. No! I was wrong. All that needed to be done was to put a 3/8 compression union onto each end of the the copper tubing bought from Home Depot. Then, attach both of these compression fittings to Scampy's existing copper tubing. to have a slightly larger outside diameter!!! It seems that there might be West Coast copper tubing AND another slightly larger OD copper tubing elsewhere in the country. WoW! Are you kidding me?! PS: Tomorrow I'll phone some big plumbing supply houses and get the low down on copper tubing. When I attempted to Blog to you about the compression story above, I was NOT able to use iPhone's personal hotspot. The USB cable that attaches the Mac Air to the iPhone, magically transformed into a USB cable that is not made for Apple products. I had purchased  of each kind of USB cable. cables in all. Somehow, all of these cables are now NOT for Apple products. Another one of those crazy things that happen to me. Who knows how? Who knows why? Anyway, I went to Best Buy in Apple Valley and bought  Apple USB cables. Cost $36 bucks. But now I am again able to use iPhone's hot spot to Blog! 5am - When I woke up this morning and thought about Scampy's propane plumbing, how to do it just popped into my head! That's it! All that is necessary now is to install this stuff. Was doing some errands this afternoon or I would finished the job today. No rush. Tomorrow is a good "project finishing day!" San Diego. But Baby Boid gets such a kick out of tripping in Little Honda's passenger seat, that we just could NOT say, "No" to him. We are going to set-up Boid's cage so that he can be high up. Boid loves it when the view is really good! 8am - We have spent the nite in a Dry Camp for Scampy in the Town of Apple Valley. The purpose of this camp is to check Scampy's systems out in the field. It is not fruitful to simply go on a trip and THEN, find out what does not work. New inverter's electricity outlets are not accessible when Scampy's bed is setup. After switching from AT&T to Cricket and buying a Mobile Hotspot, the hotspot does not work. USB cable for charging portable batteries and the Coleman lantern, not onboard Scampy. Cricket data usage not available by phoning 611 as it was when we had AT&T service. 2pm - Calling a plumber! Tomorrow, I'm going to find a plumber to do this propane line job. What stopped me, was the existing brass/copper propane lines. In order to install a Tee into that line, more access to the line is necessary. That would require removing a compression fitting on an existing Tee. When I attempted to remove that compression fitting, it seemed to me that the fitting was secured with loctite or some other thread locker. I didn't know how to proceed after that. That's the reason for me seeking a plumber to finish the job. He is also a very independent boid. I know these things are true about him, because I've had the pleasure of sharing my home with many budgies since I had 13 years. Today I started using food as an incentive for him to become "hand trained." I am NOT withholding Boid's food. Just encouraging him to transition to the next stage in his relationship with me. In the pic below, is Boid resisting coming to me for seeds. Instead of eating seeds from my hand, he searches for seeds on the floor. It took only about one for Boid to figure out that it was a good idea for him to eat his seeds while being close to me. Baby Boid is a smart boid! 9am - I believe the answer to this question is, "Yes!" I certainly have enough experience from all the many errors I've made buying the wrong brass fittings! This propane line project, if I knew how to do it from the start, should have cost less than $30 bucks. I'm guessing that I've spent well over $100 bucks!! Whatta mess! 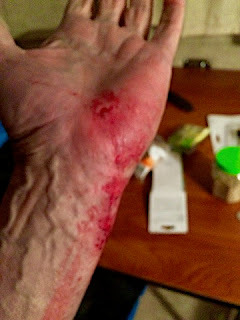 Do you remember me Blogging about my right hand and foot beginning to twitch? That happened during my trip to Guatemala around February of this year. When I returned to home, and reported about this twitching to my Kaiser Primary Care Doctor, I was sent for a CAT scan. Nothing showed up. But the twitching continued. In my case, I had three different doctors on my twitch case. Nothing came from these three Docs. And it was the crap shoot of a colonoscopy procedure that high lighted to me, what was going on. This procedure requires that a patient go off all meds 5-days prior. And I went off meds on a Friday. On Wednesday morning, the day of the procedure, I woke up and found that my twitching had stopped!! Also, I felt extraordinarily good. At that time, I did not attribute these changes to anything. Possibly to good fortune? The next day, Thursday, I was instructed to double up on one of my meds, in order to get back to the correct level. That med is Warfarin. A med that thins blood. By the afternoon of Thursday, my twitching returned. And I felt not too good. I immediately took myself off of ALL my meds! And informed my doctors of my decision. In my messages to my doctors, I called Warfarin as the responsible med for my twitching. But I was highly suspicious of my doctor's decisions for prescribing ALL of my meds. 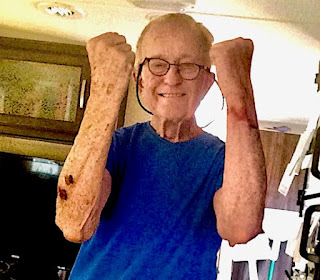 "Warfarin does not cause hands to twitch." After researching on Google about what could be going on with the Warfarin and my twitching, I came across info about patients on Warfarin being subject to a Subdural Hematoma. You may read about that [here]. Conclusion: Warfarin does not cause my twitching. But Warfarin may cause a Subdural Hematoma which cause seizures, which in their mild form, may be a twitch! Why Blog the above story now? I would not be here in Apple Valley having the time of my life if what I described in this story had NOT occurred. There would be NO Miss Twayler, No Scampy. I would still be living in La Mesa at Guava Gardens Apartments. My hand and foot on my right side very likely, would still be twitching and I would be feeling lousy! One other thing. Recently I put myself on (1) 325mg Aspirin daily as a med to reduce heart related illness. I learned this morning that Aspirin causes blood thinning, same as Warfarin. I am changing 325mg Aspirin to 81mg, immediately. Did the propane project get finished as predicted? Nope! Scampy got tidied up from the work done inside. Work produces a mess. Isn't that always the case? Scampy has enough storage for all this stuff. Amazing! 3pm - Lone Wolf Thanksgiving Party! 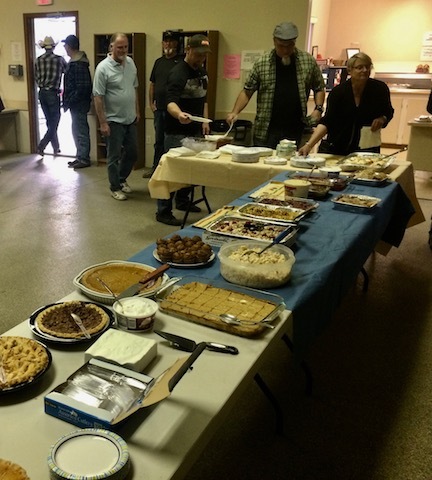 Lone Wolf RV Park is hosting a Thanksgiving Party for all the tenants! I love that! The food part of the party will be held in the large hall near my site. Afterwards. we will build a big bonfire in the yard behind the office. There is a big pit for fire there. I just loved the stuffing! PS: At the bonfire, iPhone provided music entertainment playing Johnny Cash, Hank Williams Sr, songs from Crazy Heart. Big fire kept us warm when the temp dropped! 1am - We just installed the Screen Room that we Blogged to you about a couple of days ago! This Screen Room, is actually a very small room just inside Twayler's front door. It is constructed [or fabricated] from a mesh screen door that was bought from Amazon. These two things need attention. After I began eating less food, it appears that my nutrition was not attended to. 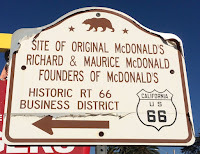 And after moving to Apple Valley and joining 24 Hour Fitness, I never resumed my 3-exercise per week routine that I had when living in La Mesa. However, both nutrition and exercise will receive the attention that they deserve beginning now! The remaining plumbing supplies needed for creating the interior propane supply for Scampy, I hoped to buy from Home Depot. I'd already bought stuff from Orchard Supply Hardware and an online plumbing company. You may think that after doing all this prior plumbing supplies buying, that I would have everything that I need. Unfortunately, I still do not have what I need!! And, this is a very tiny plumbing job. Why am I having so much trouble with this tiny job? Well, the trouble comes from advice that I received about my plumbing job. Today, for example, the guy at Home Depot informed that copper pipe is only used for water. Wow! When I heard that, I was blown away! As soon as I went online, it was clear that what the guy at Home Depot told me about copper plumbing, was wrong. It is definitely OK to use copper plumbing for propane. I am very close to completing this propane plumbing job. It should not have taken me so long to complete it. But, things happen! 6pm - Scampy has inverter installed! 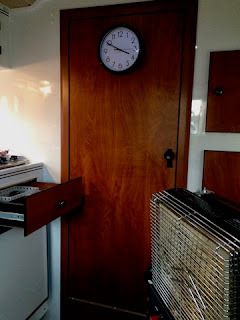 This afternoon, the job of installing the inverter into Scampy was completed. It turned out well. All the electrical connections are nicely soldered. And those connections are protected with heat-shrink tubing. 9am - The Team is very comfortable staying at Lone Wolf RV Park in Apple Valley. However, last nite's 36℉ cold snap sorta shook us up out of that State of Comfort! 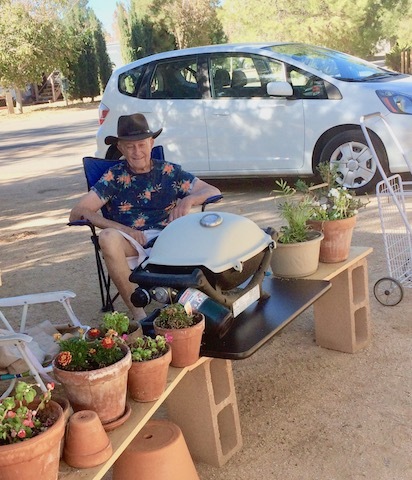 And now we are thinking about possibly moving closer to Jojoba Hills RV Park. 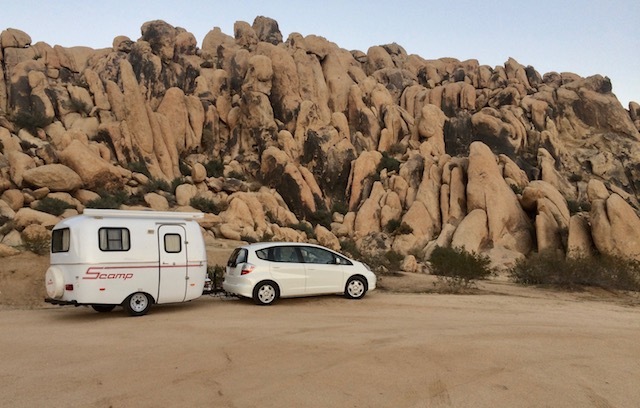 This morning we began doing Google Map searches of RV Parks near the City of Temecula, California. Temecula is about a 1/2 hour drive to Jojoba. BTW, we phoned Jojoba Hills this morning to learn where we are now on the waiting list. We are #24. Down from #34 when we first got on the list on September 14th. I have a new primary care doctor: Maged Abdelmassieh Toma, MD. Wow! What a handle! Dr. Toma has an excellent medical resume. I was kinda lucky to get him. When I have an appointment like this, I plan to arrive about 1/2 hour early. That's so that I never have to rush if something slows me up during the trip. Also, and more importantly, because it's much more relaxing to be 1/2 hour early, compared to 1-minute late! Before appointments, the doctor's nurse always takes my vitals. Weight, height, blood pressure. Asks about my medication. I am anxious to find out my vitals today!! You may recall, that I halted all my prescriptions after the disaster of the side-effects which I learned about only a couple of months ago. I feel sooooo much better now that I am off-meds! I wonder if doctors weigh the potential harm from NOT taking meds compared to the potential harm from taking the meds? [Side effects]. My Weight: 158 lbs- I have not weighed 158 since I was in basic training at Fort Ord when I had 22 years! Blood pressure: 113/58 and I am no longer taking meds for blood pressure, cholesterol and other heart related stuff. 10:30am - This morning at breakfast, I was watching "Fiddler On The Roof", the stage play turned movie. "Tevye" the milkman had his milk cart horse go lame just before the Sabbath and was blaming God for the deed. You know something? I do the same thing! I'm not sure that its God that I'm blaming? But, in my mind, whatever it is, controls me and my destiny. Maybe I'm not so crazy after all? Or, better said, "Maybe I'm not the only one who is so nutty to believe in such things?" Tevye believes! When I stub my toe, I blame! If I lose my balance, I blame. In fact, if things don't go perfectly right for me, I blame. Apparently, in my mind, the natural state of things in my life is to go exactly the way that is best for me. Yes! That's what I truly believe! Last nite, when I went to bed, how the inverter wiring should go was buzzing in my brain. Here's the plan. Tap into the wire run that goes from Scampy's deep cycle battery, to the converter. I will cut each of the two wires and connect a wire that will go to the inverter. Then reconnect the severed converter wire. Likely, each connection will be soldered and protected with a heat shrink sleeve. These wires are located in the storage beneath one of Scampy's bench seats. Access to the wiring is a little tight. But doable. 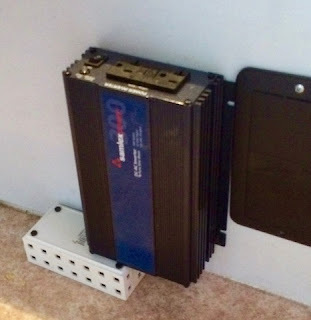 I have not figured out the best place to mount the inverter yet. Working on that! Just a few moments ago, I ordered a pair of guards for my forearm skin. Here is a [link] to the guards that I've ordered. All this stuff should be done everyday for there to be order in my life. It's usually after 12 noon when I am finished with these things. Before going to Scampy today, and doing the inverter install, it was Home Depot to buy material for that install. When I actually was looking at the inverter's installation area, I saw a much easier way to do the install than the way I planned. The inverter will be mounted on the front of the bench seat [see pic]. The DC connection wires will run thru a hole drilled thru the bench wall. To use 120v AC, we'll just plug into the inverter's electric outlets. What does a Lone Wolf look like? That screen door that I Blogged to about before, does NOT pass what I require for Boid's safety! For the present time, the mesh door may work to prevent Boid's escaping and flying away. That's because Boid is not sufficiently acclimated to life me. He is not yet comfortable to be extremely friendly with me. But that time is coming. Then, Boid will become very playful with me. Want to fly on to me to mess around. To play with me. If that happens while I am going thru the mesh door, Boid could easily escape! So, I am contemplating an engineering change for the mesh door installation. I've ordered a replacement mesh door. A different manufacturer. Much higher quality and much larger width. The existing mesh door will be removed. The new mesh door will be mounted about 20" inside the trailer. This mounting will form a small room between Twayler's outside screen door and the new inside mesh door. With this small room in place, I will be able to enter and look around before opening the outside screen door to exit. Entering will be safe for Boid as well. The small room will be visible to the outside, and I will be able to check if Boid has managed to enter that small room, before opening the outside screen door. I have not yet adopted a plan for mounting the new mesh door. But I am very much looking forward to the challenge of this project! 1pm - The skin on the top of both my arms bruises and cuts easily. My opinion is that this is a permanent condition brought on by exposure to the Sun. Ads toute creams to alleviate or cure. I do not believe these ads are correct. I've thought this skin challenge over, and have concluded that protection is the only possible method to reduce or eliminate bruising and cutting. Long sleeve shirts are my answer. I'm going shopping this afternoon. Complete the installation of Scampy's interior propane line with quick disconnect fitting. Everything needed for the inverter installation we already have. We located the 12v DC wiring coming from Scampy's deep cycle battery. This wiring runs into the storage space under the dining table's bench seat. First thing to do is, double check the polarity [positive/negative] of the wiring. Then, mount the inverter and hook it up. That's it for the inverter installation. The last two items for the interior propane line, UPS is delivering tomorrow. These items are a brass Tee and a BBQ hose. One of Scampy's existing propane lines needs to be cut and the brass Tee installed in that line. Then, the BBQ hose will be connected to the brass Tee and that job will be complete! My eyeglasses have a defect in the hinge that connects the temples to the frame. Since I do not have backup glasses, I've got to go to my San Diego optometrist's office to pick up the new frame. Both Scampy and I are very excited about this trip! We will be traveling about 150 miles, each way. The trip plan calls for a visit with our friends, John and Mimi who live in San Diego. 5am - Boid and I are pals. At this point however, Boid is a very cautious pal. Because I've been with Budgies off and on since I had 13 years, I see in Boid's mannerisms, where he is on his path to becoming really close with me. The clues are clear in where Boid flies when he is free outside his cage. If he lands close to me, that's a clue. If he makes certain sounds while looking at me, that's a clue. Boid is a type of bird that is naturally very curious. And his kind craves relationships. 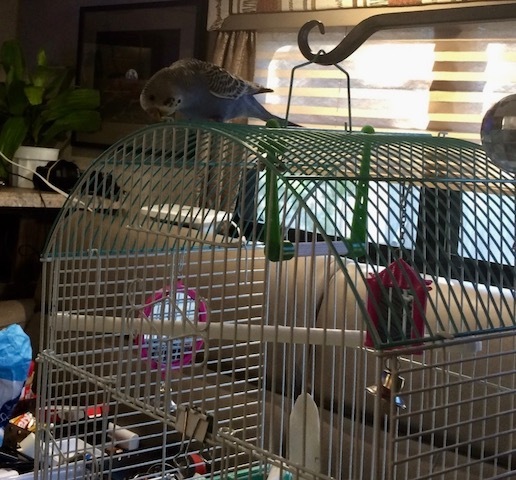 When no other Budgie bird is around, he will crave a relationship with me and will be very curious about what I do. 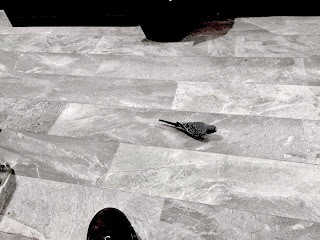 One day, when the time is right, Boid will land on me and explore. After that day, Boid will know that he no longer has to be cautious with me. I have to be very patient with Boid until that day arrives. Scampy and George decided late this afternoon to return to the big vacant piece of land next to Horsemen’s Park for an overnite camp. You may recall that the first time we tried to camp here went not so good. Because some essential stuff was not taken with us. Like, MacAir! Would you believe!? Anyway, we are here. And we like how this camp feels. It is dark now. Baby Boid appears to be pretty sleepy. So we will put his cage cover on. Do you recall our tent camping disaster near the mountain town of Wrightwood, California? One of the things bought for tent camping, was a 5℉ sleeping bag. Since there was NO tent camping in my future, I had nearly thrown away that bag. I’m really happy that I kept that sleeping bag. Because it turned out to be perfect for sleeping inside Scampy. This time, we have everything needed for a good over nite camping experience with Scampy. Several false starts. But this time we did it right! We use our iPhone’s Personal Hot Spot from AT&T to upload this Blog post. But the text is prepared offline using Apple Notes. All that is necessary, is to copy/paste this text into Blogger, then format the text with the colors and text fonts that I like. Just this afternoon, we hooked up with Cricket Wireless to do a change-over from AT&T. There is a substantial cost saving with this change-over. I’ll let you know about my savings when all this Cricket stuff goes down! 9am - It was on September 24th, seven weeks ago, that The TiogaRV Team first arrived at the Lone Wolf RV Park. There were days during those seven weeks, when our life here was pure chaos! The work to get all the stuff we have stored properly in the right location, somedays was sooooo hard! There were times at the end of a day, when I just collapsed into the La-Z-Boy recliner. Worn out! However, yesterday afternoon, all of that work and effort finally came together! And we are sooooo happy about that! Love to read your blog. 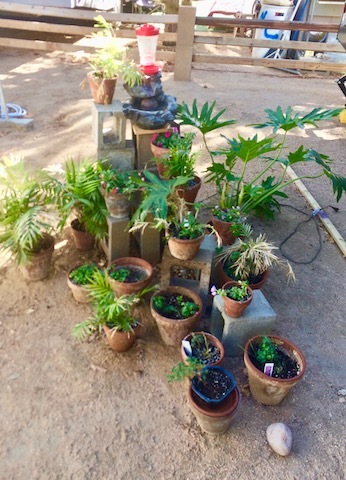 How about some pictures of your finished project?" Would like to install a drawer with full extension slides in your RV? This is a great project to take on! It's not a hard-to-do project. 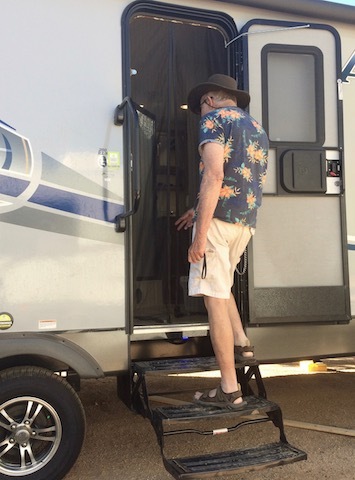 It's a box that is anchored to the floor of your RV, that moves along a pair of full extension slides. My drawer slides are manufactured by Hettich America, in Buford, GA. Amazon sold me these Hettich slides. These are marvelous slides. Extra heavy duty. And they sell for about 1/2 of the Accuride slides. This evening I followed that recipe. This a terrible recipe. The cookies are sort of on the hard side [I like them soft]. And don't taste wonderful, as I had hoped they would. In my whole life, I have never dumped a batch of cookies. However, these cookies may not make the cut!